One of the biggest surprises of GDPR is that it includes pseudonymous data into the scope of personal data. However, it doesn’t necessarily mean that the regulation treats this type of data exactly the same as identified pieces of information. Already feeling confused? Don’t worry, we’ve got you covered. In this blog post we want to show you what pseudonymized data is and why it’s worth your effort. We’ll also look at the most important threats and obligations involved in dealing with it. Sound good? Then let’s get started. First, let’s cover some basics – the definition of the term. additional information is kept separately and protected using technical and organizational measures (for instance, control access) to ensure that personal data is not attributed to a natural person. However, under GDPR, pseudonymization techniques are not enough to provide full anonymity of the data. Although Recital 28 recognizes that pseudonymization can reduce risks to the data subjects, it is not alone a sufficient way to exempt data from the scope of the Regulation. If you want to read more about data anonymization, we recommend you read this exhaustive blog post: The Ultimate Guide to Data Anonymization in Analytics. Which kinds of data should be pseudonymized? That’s quite a long list, isn’t it? What are the most popular methods of data pseudonymization? The regulation itself doesn’t specify which pseudonymization techniques are considered to be adequate. However, there are a few decent sources of information on that subject. For instance, some good examples of GDPR-compliant pseudonymization techniques can be found in this extremely informative article by Alex Ewerlof: GDPR Pseudonymization Techniques. If you want to learn more about more technical aspects of pseudonymization, be sure to check it out. If not, get familiar with our quick wrap up. Scrambling: a mixing or obfuscation of letters. Encryption: a process of encoding data, making it unintelligible and scrambled. In a lot of cases, encrypted data is also paired with an encryption key, and only those that possess the key will be able to open it. Masking: a technique that allows you to hide the most important part of the data with random characters or other data. Tokenization: replacing sensitive data with non-sensitive substitutes (tokens). The tokens have no extrinsic or exploitable meaning or value. Data blurring: blurring distinctive variables to reduce the risk that someone could trace the individual based on their characteristics. What are the benefits of using data pseudonymization? Where the processing for a purpose other than that for which the personal data have been collected is not based on the data subject’s consent or on a Union or Member State law which constitutes a necessary and proportionate measure in a democratic society to safeguard the objectives referred to in Article 23(1), the controller shall, in order to ascertain whether processing for another purpose is compatible with the purpose for which the personal data are initially collected, take into account, inter alia […] the existence of appropriate safeguards, which may include encryption or pseudonymisation. 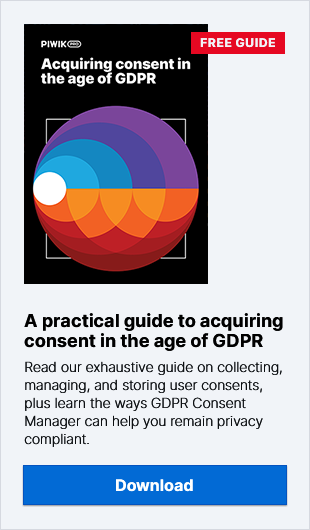 Also, GDPR provides an exception to the purpose limitation principle for data processing for scientific, historical and statistical research. However, the data should be processed using appropriate safeguards, in accordance with this Regulation, for the rights and freedoms of the data subject. Under the GDPR, data which have undergone pseudonymization may be exempt from certain data subject rights, such as subject correction and erasure requests. However, to do that, you should demonstrate that they themselves are not able to identify the data subject. Also, the latest opinion of Information Commissioner’s Office indicates that pseudonymized data should be included in the scope of portability rules. Surely, the list of benefits is not so extensive as in the case of anonymized data. However, data pseudonymization may be a great solution for companies who’d like to take advantage of greater freedom to use data without having to get involved in a complicated data anonymization process. Considering you want to pseudonymize web analytics data, you’ll also have to make sure that your vendor will be up to the task. The environment in which you’ll keep the data should allow not only to perform pseudonymization of data, but also to apply other security measures, like the ones described in the Article 32 of the regulation. A good idea in that case may be to take advantage of on-premises analytics, as it will give you full freedom when it comes to additional data privacy safeguards. However, if you’re not a fan of self-hosted product or simply can’t afford to keep your data in-house, you should know that a similar degree of security might be accomplished with the solution kept on a private cloud. If you want to learn more about those options, be sure to check our web analytics product page. It seems that pseudonymization of data is a good way to reduce restrictions involved in dealing personal data in the age of GDPR. However, it is worth remembering that it introduces many responsibilities and should be approached with due diligence. Otherwise, you expose yourself to hefty fines and the loss of the trust of your customers. Also, remember – if you would like to learn more on this topic, don’t hesitate to contact us – we’ll gladly answer all your questions!